When Imperial forces approach, it’s time to call in the U-Wing Microfighter. Fold the wings, load the stud shooters, sit the U-Wing Pilot in his seat and prepare to intercept! This comes down to 9.13 cent per brick. 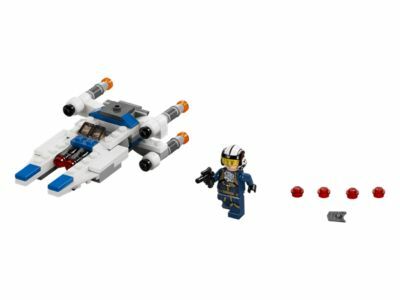 The U-Wing™ Microfighter (75160) Lego set is available from the sites below. However, they do not offer delivery to your selected region. The U-Wing™ Microfighter (75160) Lego set is no longer directly available from the sites below. However, 3rd party partners of these sites might still have the set available. Alternate description Enter miniature battle with the amazing U-Wing Microfighter! Also includes the U-Wing Pilot's blaster pistol. Recreate your own scenes from the blockbuster movie Star Wars: Rogue One.